I think that the principle of cycling are on the above picture. 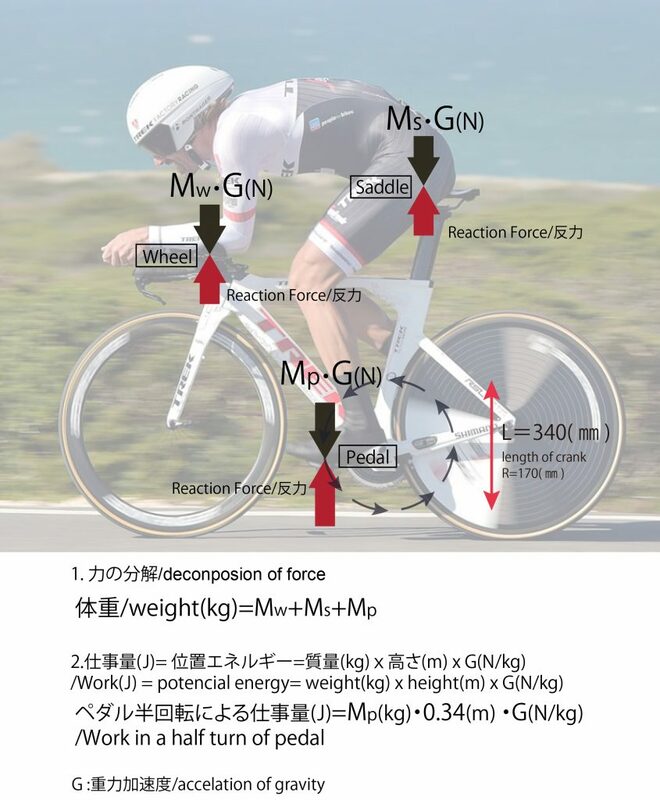 The mass of a rider are supported by 3 positions. Wheel, saddle,and pedal. And the mass supported by pedals produces the power wheeling bicycle. And its energy are equal to the elastic potential energy. And if you want to run a bicycle faster, you should increase the power (work in a second). The formula about power is below.